A Mayoman was on crystal meth when he carried out a frenzied and unprovoked attack on Dublin GAA star Jonny Cooper hours after attacking a taxi driver. Mark Lavelle (32 ) originally from Bollingbrook, Swinford but with an address at Basin Street, Dublin, was given a seven year sentence with the final two years suspended after he pleaded guilty at Dublin Circuit Criminal Court to assault causing harm to the Dublin and Na Fianna footballer in the early hours of September 20, 2014 at Dorset Street Upper in Dublin. 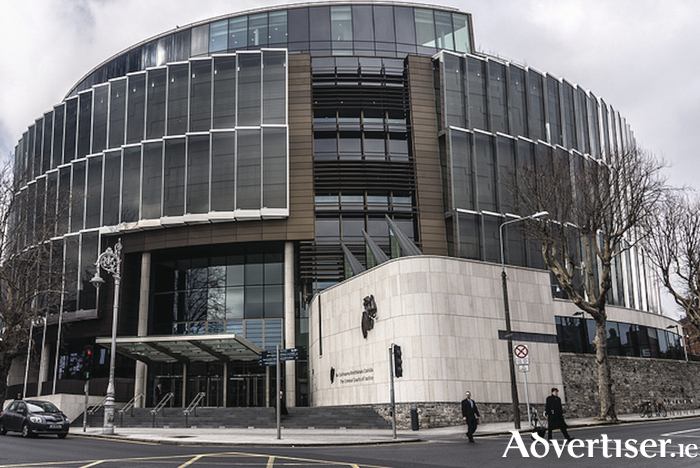 He also admitted to the assault causing harm to Thomas Smith at Kennelsfort Road Upper in Palmerstown at around 2am on the Saturday morning and to hijacking Mr Smith's car. Mr Cooper received nine stab wounds to his forehead, eyelid and neck area. He spent one night in hospital. He had no recollection of the assault and gardaí were called to the scene after a passing taxi driver noticed the footballer stumbling along Dorset Street with his back covered in blood.Officers later followed a trail of blood from where they met Mr Cooper to a nearby chipper and secured CCTV footage from the restaurant. Lawyers for Lavelle said he suffered from a mental disorder and had been with the State's psychiatric services since his mid-teens. His 62 previous convictions include assaults, criminal damage, possession of knives, possession of drugs, burglary, robbery, violent behaviour in a garda station, trespass, public order and altering a prescription. Detective Garda Padraig Jennings told John Fitzgerald BL, prosecuting that at around 2am, Lavelle had attacked the taxi driver and taken his car after the driver had picked him up in the city and driven him to Palmerstown shopping centre. Lavelle was arrested at an Esso petrol station in Maynooth at around 8am when gardai spotted the stolen car and stopped Lavelle. Lavelle's hands were covered in blood and he told gardai this was because he had haemorrhoids. He told them he had paid €1,000 for the taxi to a man who told him he had stolen the vehicle. Garda Leslie O'Rourke told Mr Fitzgerald that during Lavelle's questioning in the station for the earlier assault, a blood stained jacket and knife were taken from him. These were later analysed and Mr Cooper's blood was found both on the knife and the cuff of the sleeve of the jacket. A brief victim impact report before the court stated that Mr Cooper was out of work for two weeks and although he has facial scars it was his understanding that they would fade in time. He said he was constantly looking over his shoulder in the aftermath of the attack and was apprehensive going to work. His family were also concerned for him. The court heard that Mr Cooper had played a club match earlier on the day and gone out with his team afterwards to Copper Face Jacks. He remembered leaving there quite late and becoming separated from his friends. The next thing he remembered was talking to a passing taxi driver who had come to his aid after he saw Mr Cooper stumbling around in blood-soaked clothes. Patrick Marrinan SC, defending, said that for most of his life his client has been homeless, begging on the streets, abusing drugs or in custody. He said there was a history of violence in his family and his mother was a heavy drinker. He said Lavelle became abusing alcohol at the age of ten and moved into more serious drugs in his teens. On the night in question he was taking crystal meth. Counsel said that on the night Lavelle wanted to return to Mayo urgently to discuss “some rather bizarre topics” with his mother. He said his client he was not in his right mind and desperately needed to be in the Central Mental Hospital.